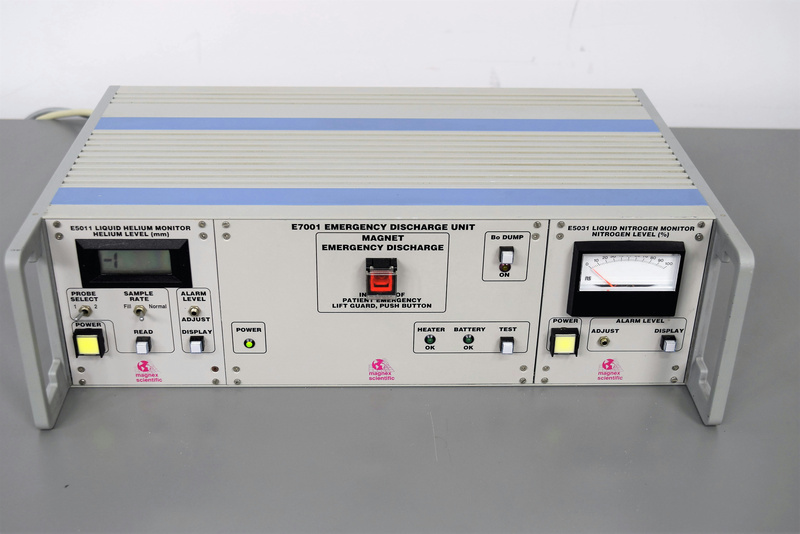 Magnex E5011 helium Monitor/E7001 Emergency Discharge/E5031 Nitrogen Monitor . New Life Scientific, Inc. Partially tested, Powers on, buttons all work, no further testing was done. New Life Scientific technicians partially tested that this product demonstrates basic functionality. Powers on and all the buttons work, no further testing was done. Requires three power cords to run this device, which are included.